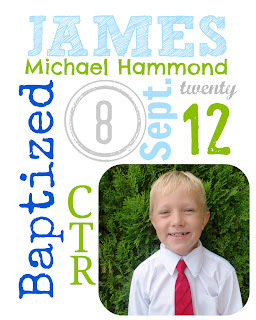 I had to come up with some decorations for James' baptism lunch, so I decided to use the washi tape my friend gave me for my birthday. Washi tape comes in various patterns and colors- so fun! I folded the tape in half all along some string, then cut points in the ends to create these banners. 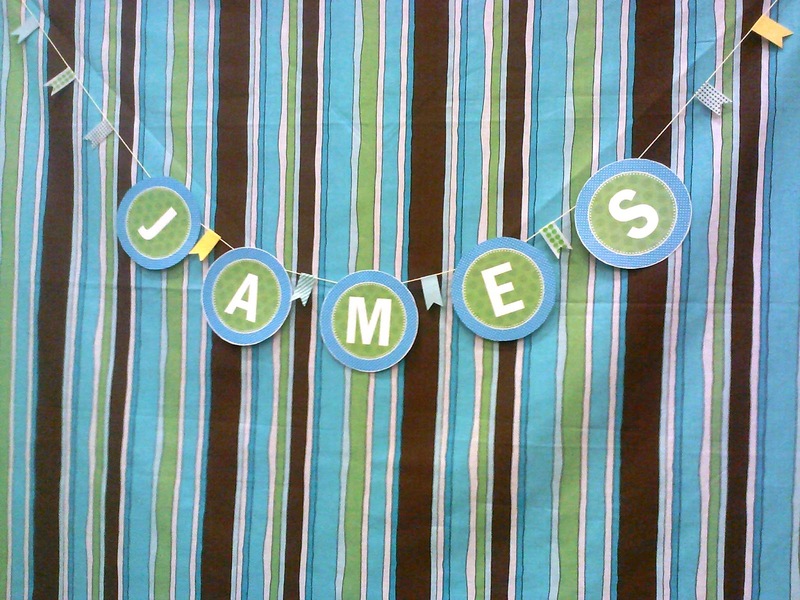 I found free printable letters online, and taped those to the string as well. 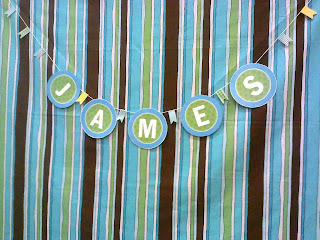 For the striped backdrop, I bought a yard of material, folded the edges under as I pinned it to the wall with push pins. Today I used that same fabric to make a car seat canopy (2 birds with one stone). and these styrofoam rounds, which were 2/$1 at Dollar Tree! I just wrapped washi tape around the styrofoam to dress it up a bit. The width was perfect! There are so many free printables out there that could be used with this idea. 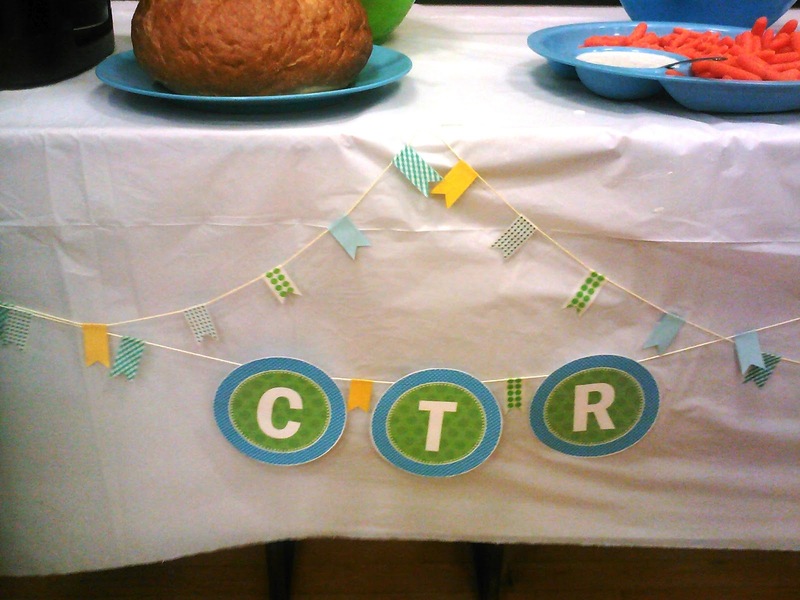 I also created some subway art with the baptism info, stuck it in a $1.50 frame from wall mart, and displayed it on the serving table. Pic Monkey is a great site for this, because they have fun fonts and you can rotate the words, etc.